One of the most popular ways to moisten and revitalize the skin is by means of a facial steamer. Facial steamers are wonderful for loosening dead cells on the surface of the skin and for helping to soften embedded dirt, blackheads, and oil. 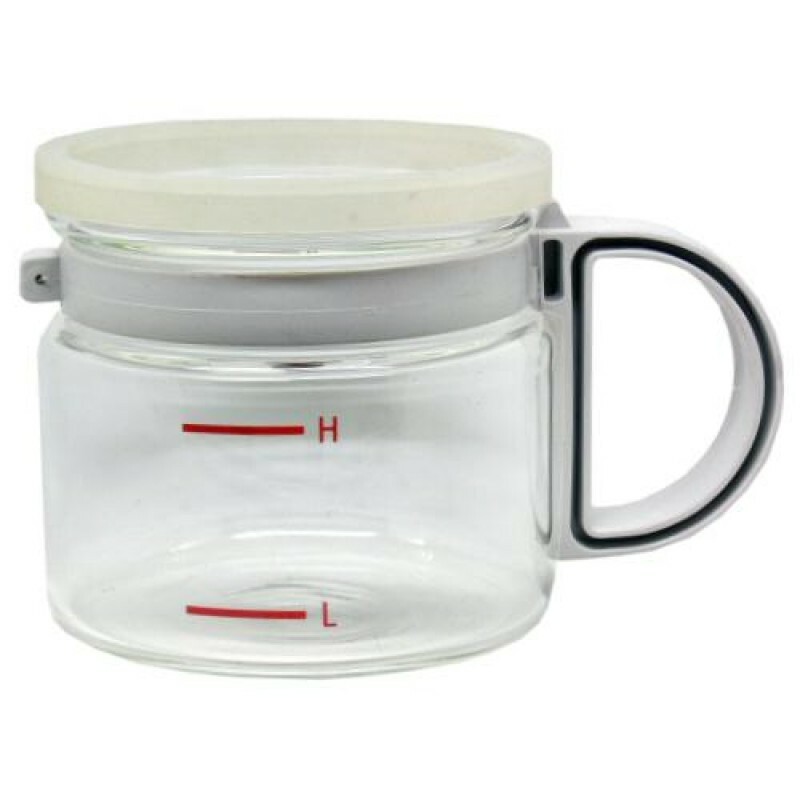 The Water Container with Gasket for the Wide Angle Facial Steamer from Natali Products is made out of glass, and there are “H” and “L” levels clearly marked along the side. The white plastic D-shape handle of this facial steamer water container feels secure and comfortable in your hands. 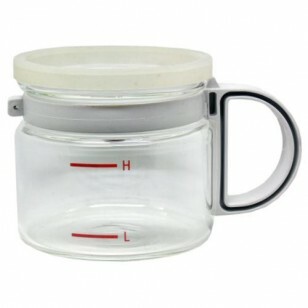 For added stability, the handle is connected to a ring that wraps around the neck of the glass container. To prevent accidental spills, the base of the facial steamer container is flat, so you won’t have to worry about it tipping over. There’s a translucent, rubbery gasket that fits over the container’s mouth. It can be removed, which makes cleaning a breeze! You’ve invested in your facial steamer. Now, make sure that you have the spare replacement parts like this water container from Natali Products so that you’re always prepared for the unexpected! Note: We don't carry the steamer for this. However, we've stocked it in case our customers need it when repairing their steamers.